The cabinet will shortly file amendments with parliament. 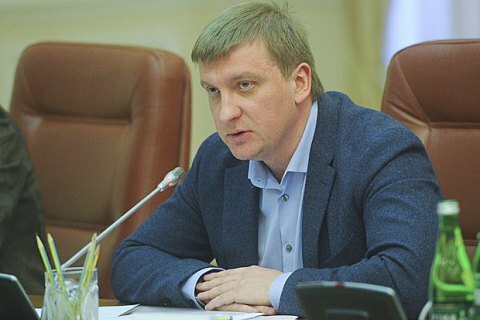 Justice Minister Pavlo Petrenko has said that the Cabinet of Ministers did not author an amendment to the state budget bill on the delayed introduction of electronic financial statements. He said on Facebook: "Today I learned from media reports that the budget law allegedly turned out to include a clause delaying the launch of a system of electronic reporting until 2017. I can confidently say that the budget bill sent for parliament consideration did not and could not include this clause." In his words, the government has already worked out an amendment to the budget law, which would revoke this clause, and will soon send it to parliament. "Besides, the Cabinet of Ministers will demand an investigation to learn how this amendment made its way to the final wording of the document," the justice minister added. Earlier, MP Viktor Chumak said that the budget law, which was passed by parliament, "turned out to have a clause no-one has heard about". This clause postpones the introduction of a new system of financial control provided for by the law on prevention of corruption by one year.